The designated smoking areas, which are designed to accommodate both smokers and nonsmokers, feature 22-gallon waste receptacles and are located along the beach and 15 feet off the boardwalk. Smoking must be contained within 15 feet of the waste receptacle in each designated smoking area. The boardwalk is a smoke-free zone. The smoking rules apply to cigarettes, cigars, pipes, e-cigarettes, and any other matter or substance that contains tobacco. Click here to view a map of the designated smoking areas. The ocean city beach patrol will not be responsible for enforcing the smoking rules. Safety is a top priority and their eyes will remain on the ocean at all times. Therefore, voluntary compliance is expected. To view the complete ordinance, please click here. 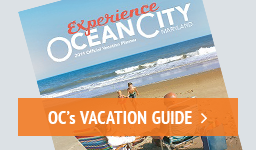 Thank you for helping to keep Ocean City beautiful!